Safari Ltd Toobs have arrived at Battlefield Legends Toy Soldiers! 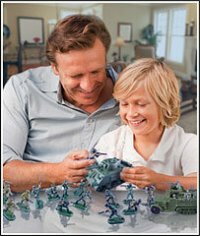 These classic action packed toobs will delight the imagination of any toy soldier collector, diorama builder, student or wargamer. 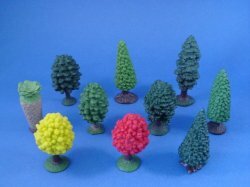 Set includes: Pine, Elm, Juniper, Monkey Puzzle, Topiary, Petticoat, 2 Maples and 2 Aspens.. All Safari products are phthalate-free and safety tested. 100% satisfaction guarantee. Shop with confidence!